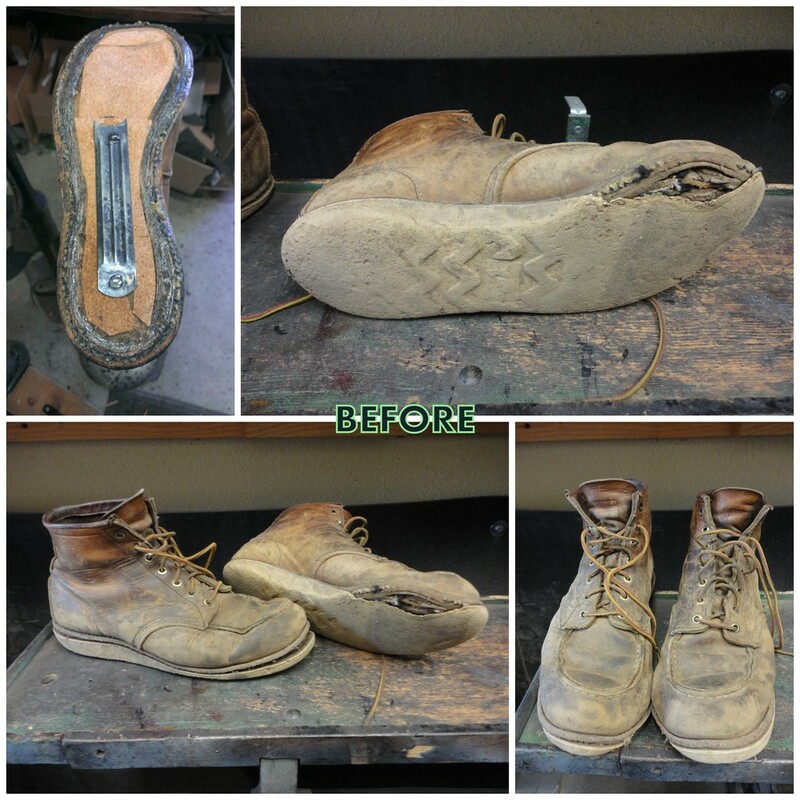 Red Wing Boot Repair and restoration. We are a family owned and operated Red Wing Dealer in San Marcos, CA, and we also special in Red Wing Boot Repair and restoration. WE ARE RED WING DEALERS AND SPECIALIZE IN RED WING REPAIRS. Pair of 10877 resoled, colored, conditioned, and relaced. Pair of 866 resoled, colored, conditioned, along with toe bumpers. Before- Pair of 10875 resoled with vibram lug sole, colored, conditioned, and relaced. 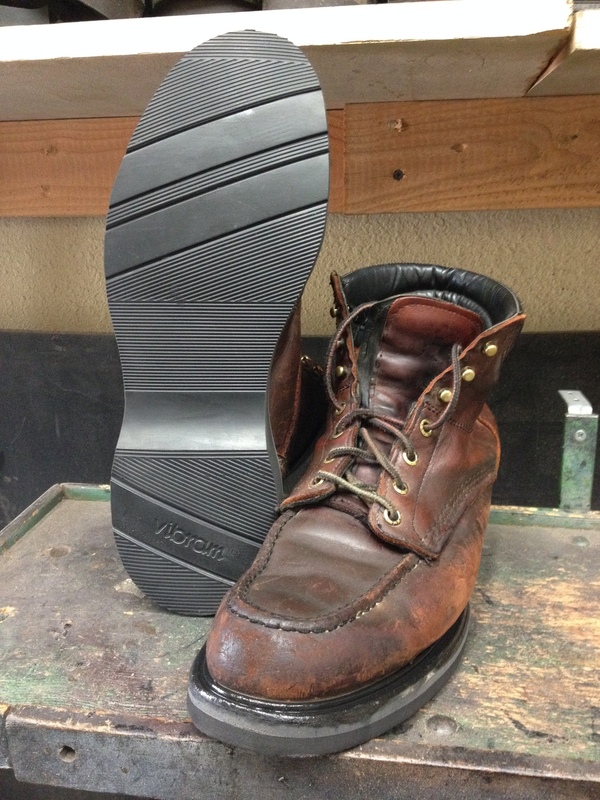 After-Pair of 10875 resoled with vibram lug sole, colored, conditioned, and relaced. 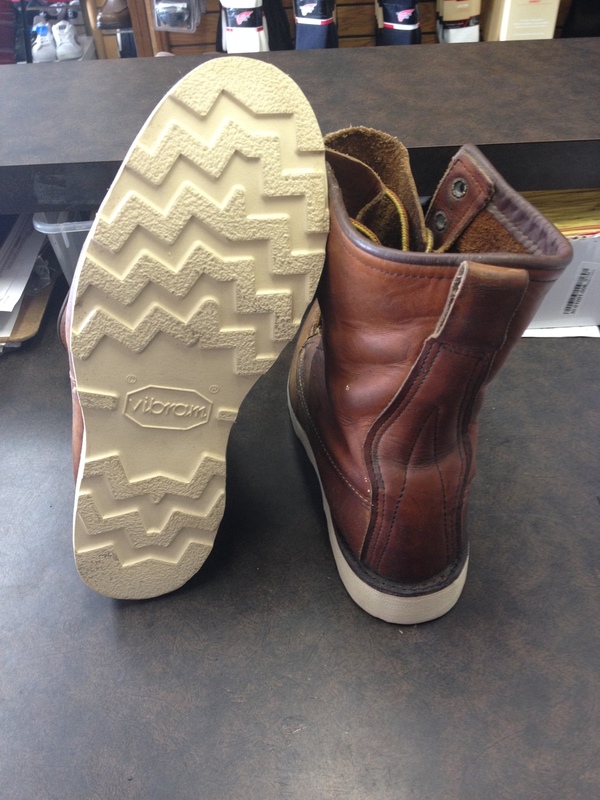 We specialize in Red Wing Boot Recrafting. We are Red Wing Shoes Authorized Dealers, in fact, we are the only store that has a repair shop in all of San Diego county or anywhere within 100 miles and we also have exclusive access to specialty soles and brand specific specs along with branded materials and accessories. We also do warranty work for Red Wing Boots and for you it could possibly be at no out-of-pocket cost to repair your boots. Just bring in your boots and your original receipt to verify your warranty status. Although we have access to Red Wing branded items, they are more expensive and availability is limited and only use them with special requests, and so by default we use their high quality generic counterparts that are more widely available. 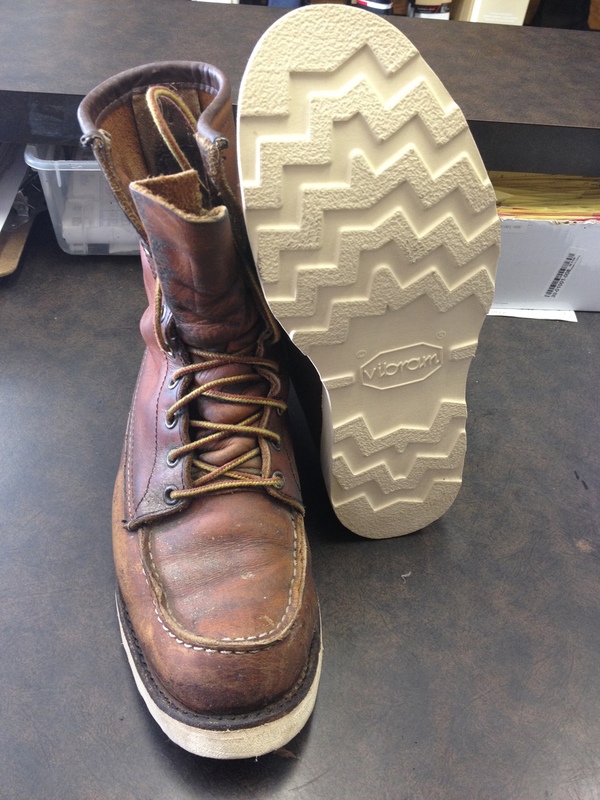 All Red Wing boots can be repaired but only a couple high quality handcrafted models can be completely re-crafted. Models that can be completely re-crafted included, but are not limited, are: 218, 405, 411, 474, 595, 616, 620, 866, 899, 921, 963, 964, 968, 971, 988, 1155, 1178, 1203, 1205, 1209, 1698, 2156, 2214, 2215, 2218, 2221, 2292, 4403, 4405, 4415, 4416, 4417, 4418, 4420, 4474, 4481, 4483, 4489, 4492, 4494, 4495, 4499, 5686, 5889, and of course the iconic 875, 877, 10875, and 10877. For boot repair pricing, click here or go to our pricing page. To ship us your boots for repair, order your repair online or give a call at 760-744-2471. We are sure its a lot to take in, but if you have any questions, just contact us and we will do our best to help you out.